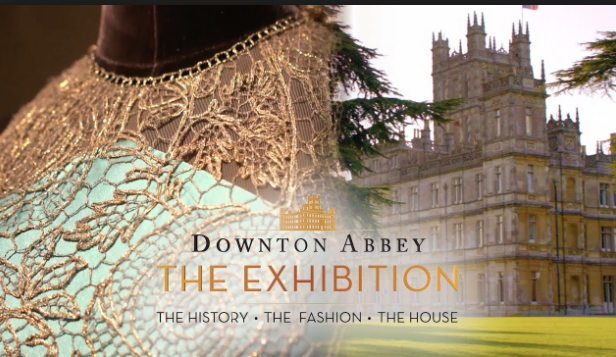 Fans of Downton Abbey will relish this immersive exhibition, which features set re-creations, costumes from the show and thousands of artifacts. Guests will find themselves transported to the post-Edwardian England era, with the show’s characters and the house coming to life. I believe that even if you weren’t a fan of the show you can still garner a great experience. Here are my three reasons why you must see this traveling exhibit. 2- Clothes have changed but they are similar. When you view some of the costumes you are struck by the similarity is between our modern day sheaths an the sheaths that the women wore at that time. They are so close! 3- Meals together matter. Dinner was an important strand to hold the family together and to tie generations together. You will get a chance to see how meals are lynch pins to holding a family together. I loved the history and respect and reverence each display gives you. I would advise that you take your time going through and savor the time and effort the curators took to completely immerse you in the world of the Abbey. The exhibition is located at 218 West 57th Street between Broadway & 7th Avenue. Downton Abbey fans of all ages are welcome. Yet, parents and caregivers can make the best judgment about their children’s interest and ability to enjoy visiting. All children ages 4 and up need a ticket.